If you're not familiar with BioLite by now, you should be. 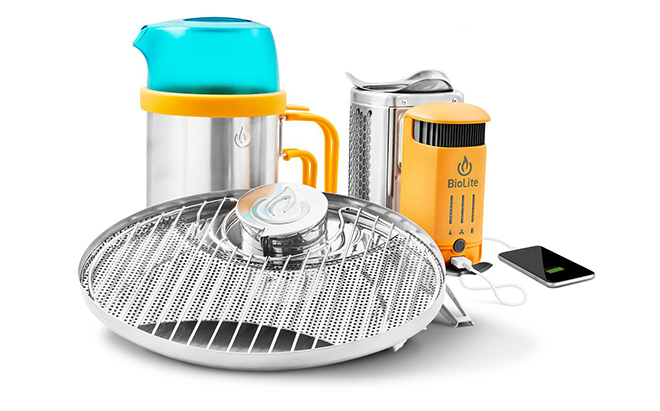 Their ingenious Campstove 2 is a camping stove and cooktop that has a built in thermal generator, delivering 5V of power to charge your devices (as well as an onboard battery to store any additional power). The brand has been in business since 2012, and continues to advance and evolve their product range, which now also includes a wide range of outdoor lighting solutions, as well as other outdoor cooking equipment. Right now all of their gear kits have been marked down, with savings of over $100 on some kits. It's a good time to upgrade, so if you're in the market for some new gear, now's the time.